Element Outfitters is a family owned business located in Pocatello, Idaho. 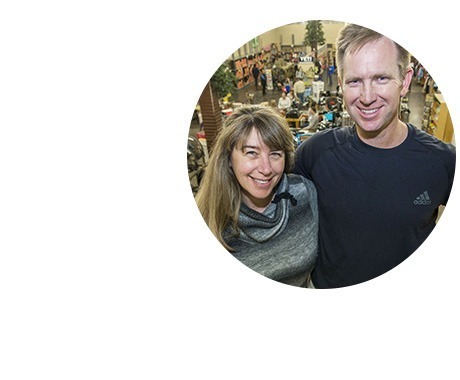 Paul & Stacie started business over a decade ago in a hopes to share their passion for the outdoors with you - our customers. In a attempt to share this love of the outdoors and unique hometown fell with more people we started ElementOutfitters.com. The mountains and weather make South East Idaho one of the best places in the west to go outside and play. It is no wonder why the owners and staff have such a huge love for the outdoors. Between us all, we work hard and have a lot of fun. We want to share that fun and adventures with you. You can checkout our Local's Guide to see what we are up to in our area. In return, we hope you will share your fun and adventures with us on facebook, Twitter, Pinterest, or via email. The secret recipe to enjoying the outdoors: Just Add You!! !